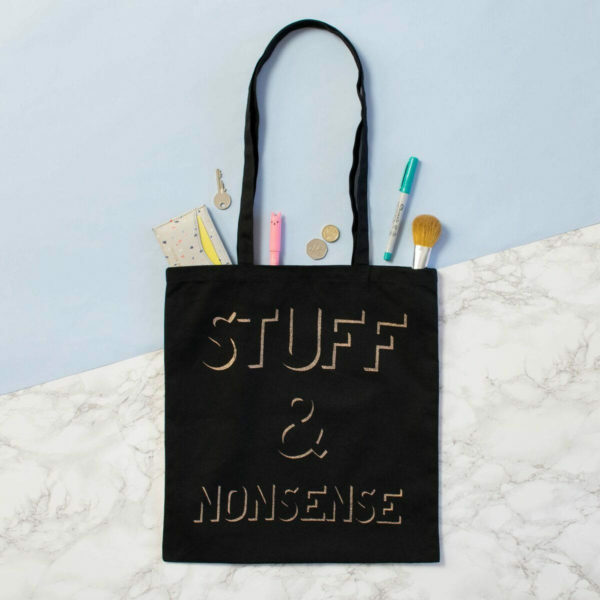 This black tote bag with metallic copper typography is perfect for chucking all your stuff and nonsense in, made of 8oz cotton, so it’s nice and strong, not thin and flimsy. Has nice long straps, perfect to fling over your shoulder whatever you’re off to do. 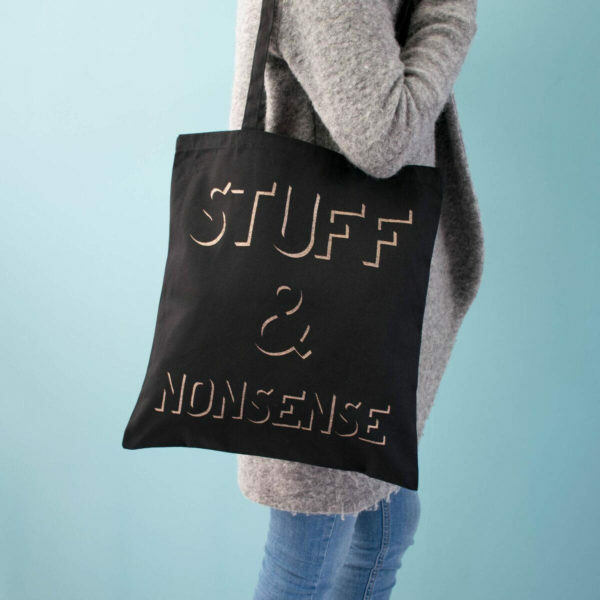 With on trend copper typography. Perfect for shopping, going to the gym, for books, knitting, whatever is your bag, can go in your bag.